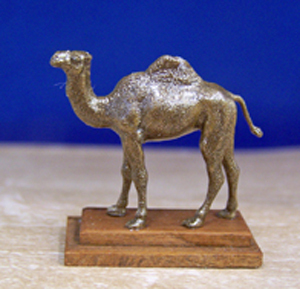 Bronze Finish Camel on Walnut Wood Base. Display on Bookshelf or Table. This Graceful Animal will add Nice detail to Any Room. Measures 1&1/4" high and approx 1" in length.